"the same letter seven times"
1975: Kate Rothko wins her lawsuit against the Marlborough Gallery and the executors of Rothko's will. 1975: Willem de Kooning exhibitions in Japan and Paris. 1975: Willem de Kooning asks Mimi Kilgore to marry him. Mimi said no, but continued her relationship with de Kooning. Roberto Matta's son, John Sebastian, fell from the window of his twin brother's studio, the artist Gordon Matta-Clark. He had been in and out of mental hospitals prior to his death. 1976: A major traveling exhibition of de Kooning's work is planned with sponsorship by the Hirshhorn Museum and the U.S. Information Agency. 1977: Robert Motherwell works on mural for the National Gallery of Art in Washington, D.C. The mural was commissioned by the National Gallery for I.M. Pei's annex which opened on June 1, 1978. 1978: "Mark Rothko, 1903-1970: A Retrospective" at the Solomon R. Guggenheim Museum in New York. "The East Hampton 'landscapes' are indeed the most orthodox examples of Abstract Expressionist painting that Mr. de Kooning has ever produced... Whether he is evoking the figure or his memories of a landscape, or the memories of other paintings (which one suspects is often the case), there is a visual quality in his work that is arresting and seductive. We are never in doubt that we are in the presence of a superior artist. "DIED. Harold Rosenberg, 72, author (Saul Steinberg, Barnett Newman) and art critic of The New Yorker; of a stroke, in Springs, N.Y. Rosenberg's essays on Pollock, de Kooning, Gorky, Motherwell and Rothko, whom he called action painters, helped legitimise the first New York school of Abstract Expressionism in the '50s." "DIED. Thomas B. Hess, 57, former editor of Art News magazine, who last February became chairman of 20th century art at the Metropolitan Museum; of a heart attack; in Manhattan. As art critic for New York magazine in the 1970s, Hess kept alive his romance with Abstract Expressionism." July 1978: Willem de Kooning goes on a binge. August 27, 1978: Matta's son dies of pancreatic cancer at the age of 38. Two years after his twin brother's death, Gordon Matta-Clark died of pancreatic cancer. 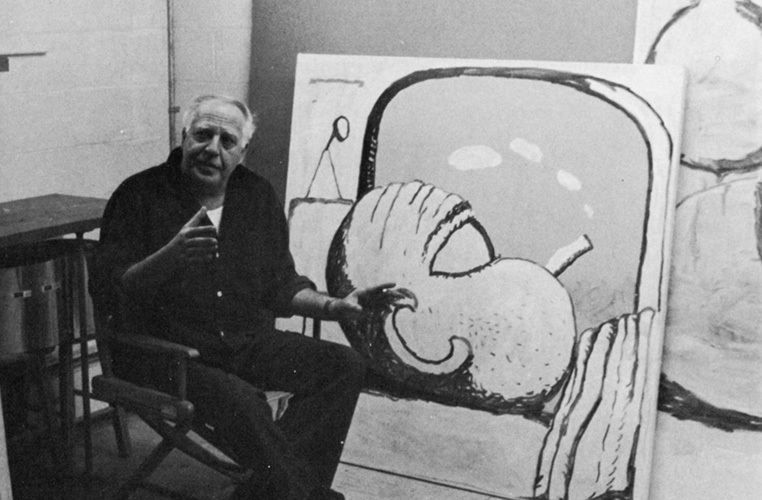 March 1979: Philip Guston suffers a major heart attack. Guston had been talking on the phone to Mercedes Matter from his home in Woodstock. Stricken with pain he ended the conversation abruptly, went into the kitchen and vomited into the sink before collapsing unconscious on the floor. He ended up in the Coronary Care Unit at Benedictine Hospital in Kingston, New York. Guston, suffering from delirium tremens, had imagined the hospital staff to be Nazis interrogating him. He fought back and had to be restrained. The extent of Guston's drink problem had previously gone unnoticed by his family. His daughter was informed by the doctors that Guston might not recover from his heart attack. She informed her father. He listened with his eyes closed, then looked up at me and began to weep, silently, tears welling up and sliding down his cheeks into his ears. Guston would die the following year - on June 7, 1980 from another heart attack after returning home from a retrospective of his work at the San Francisco Museum of Art. c. April 1979: The damage to Mark Rothko's Harvard murals is reported. The previous year de Kooning had given the impression to a journalist that painting was not a problem even though he was in his seventies. 1979: Willem de Kooning writes his last letter to Mimi.